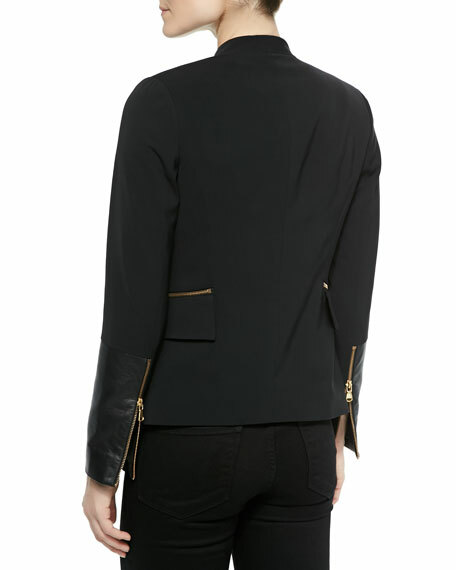 Bagatelle jersey blazer with genuine leather inset sleeves. Approx. measurements: 21"L from shoulder, 26"L down center back. Flap pockets and zips at waist. Polyester; combo: leather; self lining; dry clean.